In just the third round of IMSA's WeatherTech SportsCar Championship, Porsche's 911 RSR team has grabbed three pole positions and two race victories in the GTLM category this season. It would be difficult for the team to be starting the season from any better position, as they now lead the points championship in the fierce category of sports cars. 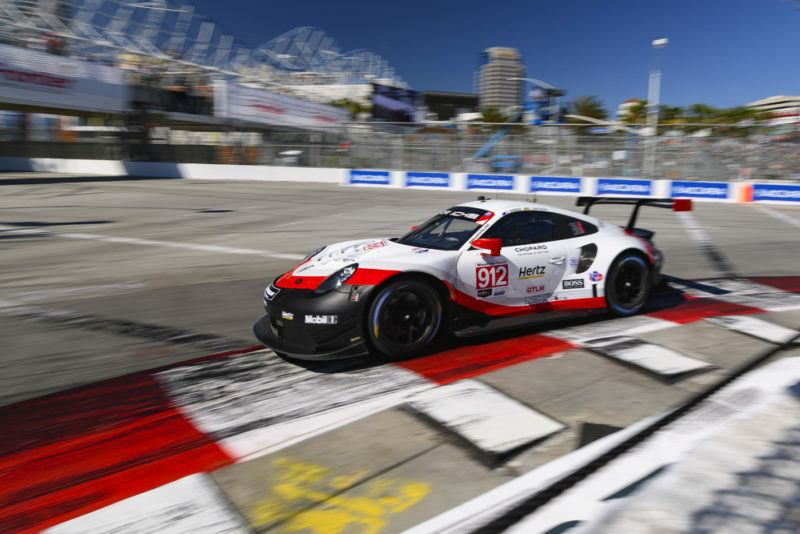 This weekend's race at Long Beach was an incredible spectacle for all of the fans to see take place on track, and Porsche worked the strategy and speed inherent in the cars to lead nearly from start to finish. Both cars suffered from rear diffuser and underbody floor damage during the course of the race. This caused the Polesitting #911 car of Patrick Pilet and Nick Tandy to drop back to fifth in the race, while the #912 of Earl Bamber and Laurens Vanthoor overcame adversity to take a dominant win. 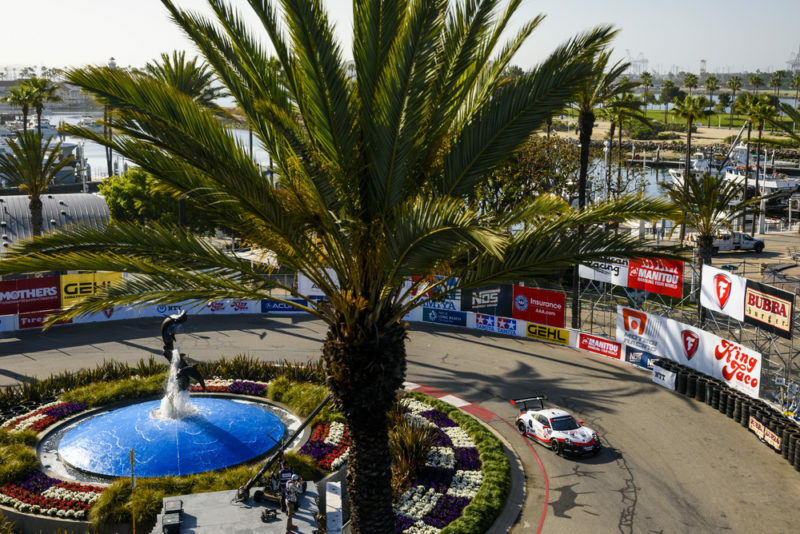 In stark contrast to the two previous races this season, the 24 hours of Daytona and the 12 hours of Sebring, the Long Beach race was a simple 100 minute sprint. Nick Tandy got away to an excellent start, pulling Vanthoor with him in second place as they split apart from the pack. A safety car shortly before the halfway point of the race saw that advantage disappear, and the two 911s fell back to second and third after the restart when a Ford GT edged by into the lead. Shortly after the restart Bamber (taking over for Vanthoor) put an excellent pass on his teammate Pilet for second place, and a few laps later made this pass for the lead of the race. Possibly because of contact or the bumpy nature of the street course, both Porsche undertrays started to fall apart after the halfway point. Luckily, up front, the leading Porsche had stretched out enough of a gap to maintain that while everyone behind fell into fuel saving mode to make it home without issues. Symptoms on the #911 car showed up earlier in the race, and as a result it was swamped by both Corvettes and a Ford GT. The Ford didn't make it back to the flag, as it ran out of fuel at turn 8 and the stumble caused the head Corvette to shove it from behind into a wall. Because the #912 had been passed by the leading prototypes one time more than the Ford had when they got to the finish line, it was still awarded 5th.